Radio amateur Jonathan Oxer VK3FADO gave this Keynote presentation on the latest developments in the ArduSat CubeSat project to the 2014 Linux conference in Perth, Western Australia. Jon has been hacking on both hardware and software since he was a little tacker. Most recently he’s been focusing more on the Open Hardware side, co-founding Freetronics as a direct result of organising the first Arduino Miniconf at LCA2010. His books include “Ubuntu Hacks” and “Practical Arduino”. Jon has been variously referred to as Australia’s geekiest man and as a cyborg-in-progress. As part of his “SuperHouse” home automation series, Jon has taken keyless entry to an all new level by embedding an RFID tag into his arm using a vet’s chipping tool. Recently he has been working on ArduSat, a satellite that aims to give hobbyists, students and space enthusiasts an opportunity to design and run their own experiments in space. By choosing a standardised platform based on the hugely popular Arduino hardware design, ArduSat allows anyone to develop and prototype experiments at home using readily accessible parts and all based on a simple open source software environment. Astronaut Koichi Wakata KC5ZTA deployed the CubeSats ArduSat-1, ArduSat-X along with Pico Dragon from the International Space Station at 1218 UT on Tuesday, November 19. 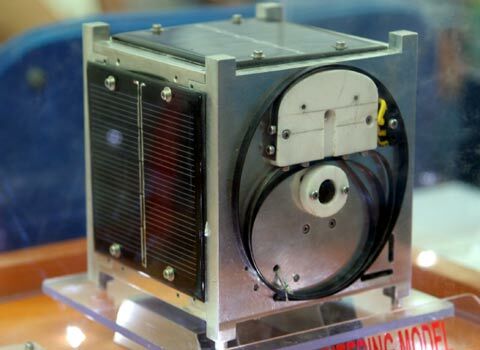 Pico Dragon was developed by the Việt Nam National Satellite Center (VNSC), University of Tokyo and IHI aerospace. It has a 437.250 MHz CW beacon and 437.365 MHz 1200 bps AFSK AX.25 telemetry. Mineo Wakita JE9PEL has received the CW signal from Việt Nam’s Pico Dragon CubeSat but nothing was heard from ArduSat-1 or ArduSat-X. The Pico Dragon beacon has been reported as appearing about 3 kHz high of the expected frequency. If you’re a radio amateur and would like to help out the ArduSat team, you can listen for our Morse beacons and send them to us! This beacon gives us important information – like battery voltage and lets us know that the satellites are still alive! The initial TLE for AS-1 and AS-X will be the same as the ISS until they put some distance between each other and are assigned their own Noad IDs. You can submit a beacon as plain text to nanosatisfi@gmail.com – be sure to put the word “packet” in the subject line so that we can parse it quickly. You can submit audio as an email attachment. Send an email to nanosatisfi@gmail.com – with the audio file as an attachment. 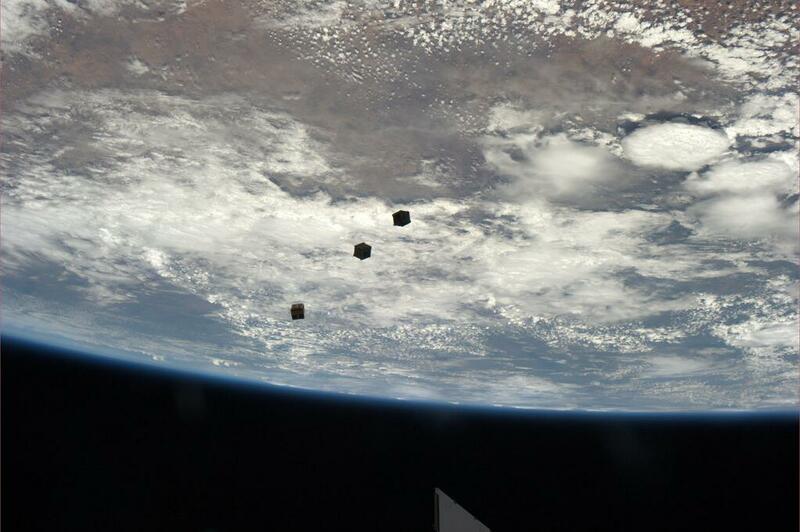 Four CubeSats carrying amateur radio payloads will be deployed from the International Space Station (ISS) by the JEM Small Satellite Orbital Deployer (J-SSOD). Pico Dragon, ArduSat-1 and ArduSat-2 will be deployed on Tuesday, November 19, and the fourth Cubesat, TechEdSat-3p, will be deployed Wednesday, November 20. • Pico Dragon developed by the Việt Nam National Satellite Center (VNSC), University of Tokyo and IHI aerospace. 437.250 MHz CW beacon and 437.365 MHz 1200 bps AFSK AX.25 telemetry. 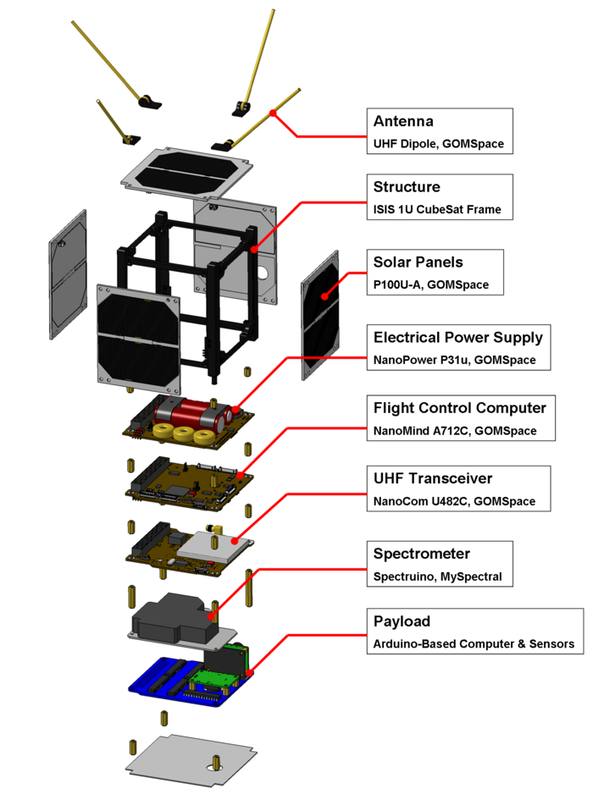 • ArduSat-1 developed by NanoSatisfi. 437.700 MHz 9k6 MSK CCSDS downlink. • ArduSat-X developed by NanoSatisfi. 437.700 MHz 9k6 MSK CCSDS downlink . • TechEdSat-3 developed by interns at the NASA Ames Research Center. 437.465 MHz 1200 bps packet radio beacon transmitting 1 watt to 1/4 wave monopole. It plans to test an Iridium Satphone modem and has a deployment mechanism to de-orbit in 10 days. They are 1U in size (10*10*10 cm) except for TechEdSat-3 which is 3U (30*10*10 cm). Jonathan Oxer VK3FADO talks about the Ardusat project and shows his Arduino based cluster board at the Melbourne Connected Community Hackerspace. 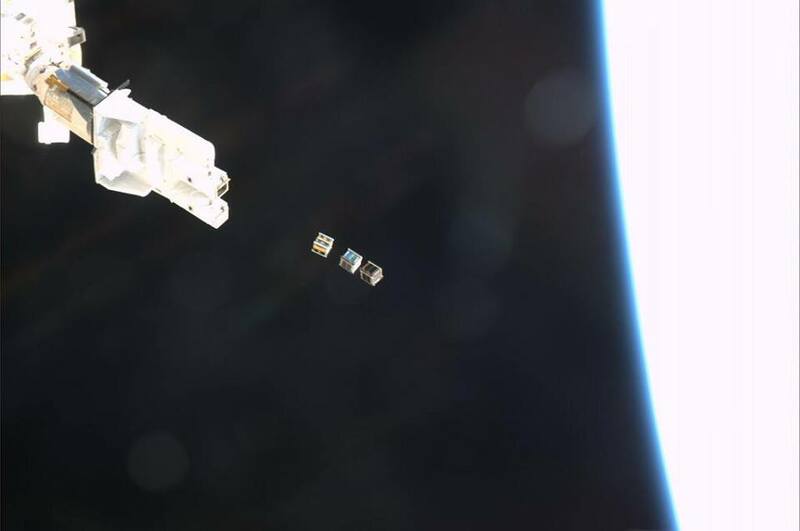 The two Arduino-powered satellites ArduSat-1 and ArduSat-X arrived at the International Space Station on August 9, 2013 in the Japanese HTV-4 cargo vessel along with the PicoDragon and TechEdSat-3 CubeSats and the HamTV transmitter. Among the other radio amateurs who’ve been working on ArduSat are Jeroen Cappaert KK6BLQ and Joel Spark KK6ANB, both hold the USA equivalent of UK and Australian Foundation licences. The article, by Ben Grubb, says for the past 10 months, Jon VK3FADO has been involved in designing and building two crowd-funded micro-satellites that will allow anyone to conduct their own space experiments. 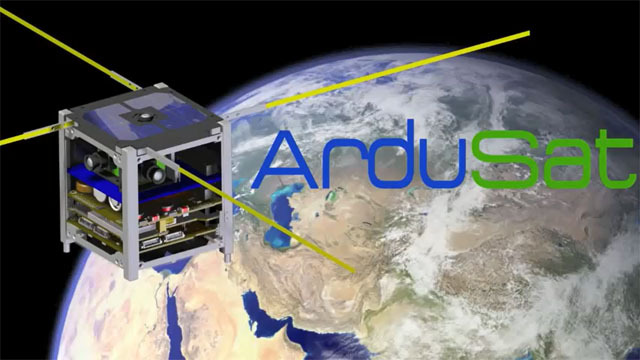 Named ArduSat-1 and ArduSat-X, the low-cost, miniature satellites are aboard the International Space Station ready to be put into orbit between October and March 2014. Australian Foundation radio amateur Jonathan Oxer VK3FADO is one of the designers of the two CubeSats ArduSat-1 and ArduSat-X which arrived at the ISS on Friday, August 9 UT. 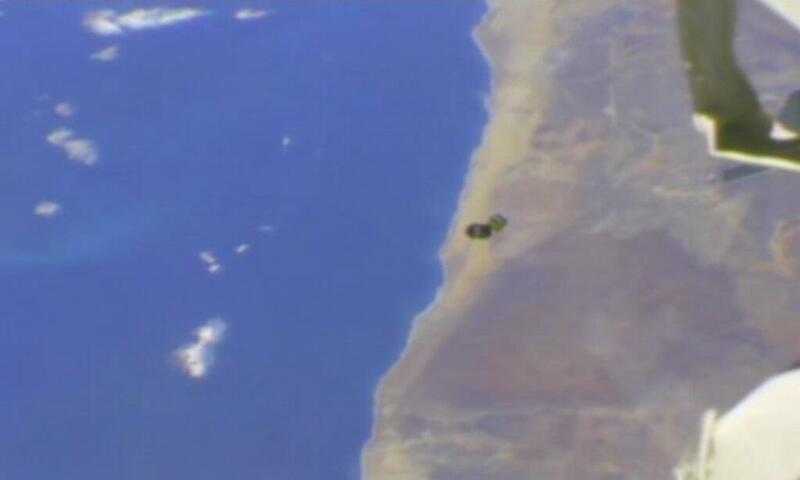 The Arduino-powered satellites were transported to the International Space Station by the Japanese HTV-4 cargo vessel along with the PicoDragon and TechEdSat-3 CubeSats and the HamTV transmitter. 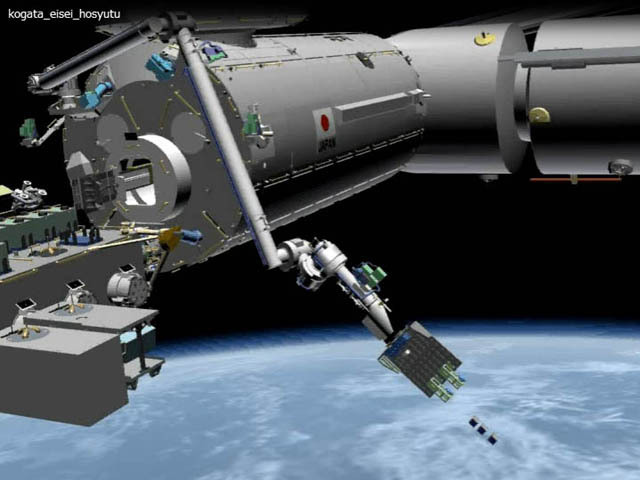 The ArduSat’s will be deployed from the ISS by the Kibo robot arm sometime between October 2013 and March 2014. They are expected to have a lifetime of 7 months before burning up in Earth’s atmosphere. That experience, he hopes, will see them take pursue studies in technical fields and over time address skills shortages. Oxer hopes to release designs for the ASPPM. The International Traffic in Arms Regulations (ITAR) were introduced by the US Federal Government. ITAR threatens US radio amateurs with up to six figure fines or jail if they talk to non-US citizens about certain aspects of their amateur satellite hobby. These draconian regulations have stopped cooperation on amateur satellite projects between US hams and the rest of the world.